Are you looking for an experienced and professional migration agent who can deliver results for your Australian immigration or education? You have come to the right place! XL Migration & Education promises to help you achieve your dream to migrate or study abroad in Australia. We are a reputable migration consultants with our office in Perth, Western Australia. We are registered with the Australian Migration Agents Registration Authority (MARA) and are a member of the Migration Alliance and Migration Institute of Australia (MIA). With matters pertaining to Australian immigration and visa, we comply with our professions Code of Conduct issued by the Migration Agents Registration Authority, ensuring high quality and reliable services to our valued clients. For overseas students aspiring to study in Australia and achieve internationally recognized academic qualification and work experience. For people looking to get Australian permanent residency based on education qualification and professional skills. For individual who are either married or in a long-term relationship with an Australian citizen, Permanent Resident or an eligible New Zealand Citizen. 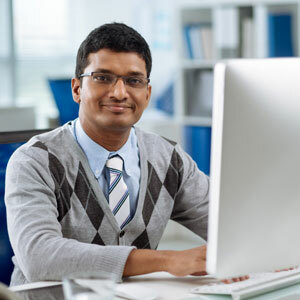 For skilled workers who have been sponsored by an Australian employer & who possesses recognized educational qualifications & expertise in a particular occupation necessary in Australia. Planning to visit Australia for business? For business-centric people who aspires to develop business in Australia. Parents who pass the balance of family test with half or more than half number of children living permanently in Australia may be eligible for Parent Visa, which gives them Permanent Residency in Australia. XL Migration & Education provides expert consultation services to evaluate individual eligibility and circumstances to migrate or study in Australia. We provide full migration assistance, including preparing your visa applications, form, necessary documentation, and visa lodgment at the Department of Immigration and Border Protection (DIBP). Our immigration experts will guide you in having a powerful and impressive visa application that is more likely to get the best outcome possible. If you hire us all continuing advice and consultations are FREE. Please click to check Our Fees. Great proffessional service. Very knowledgeable and helpful. Will recommend to anyone who needs help with aussie visas. whenever I contacted them for my difficult visa and MRT issues. 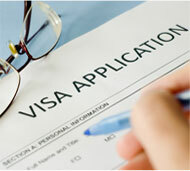 Call us for Free Visa Assessment Today! Our qualified staff provide immigration advice you can trust and rest assured.